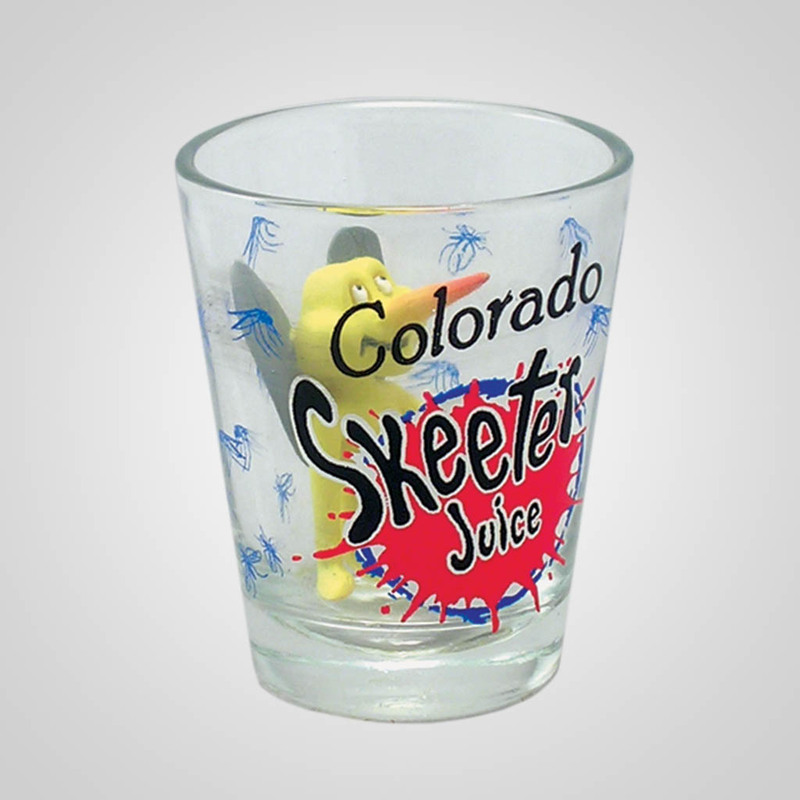 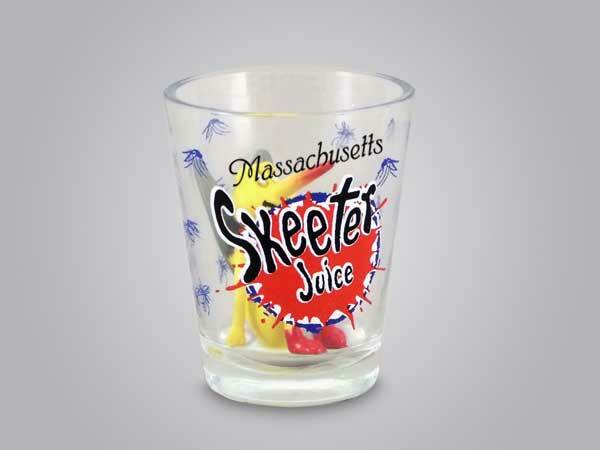 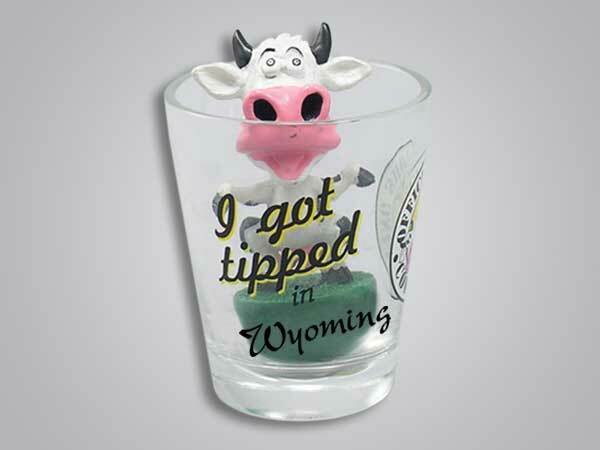 Comic shot glass with blood splat that has the words " Skeeter Juice" Poly mosquito inside shot glass. Poly/Glass, Pad Print. 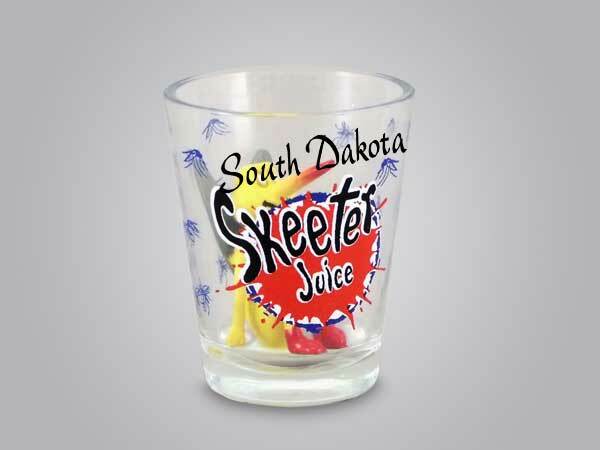 Name Drop. 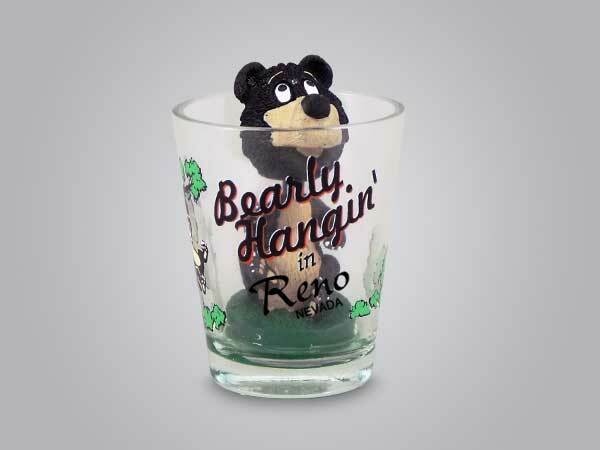 2 x 2.5"